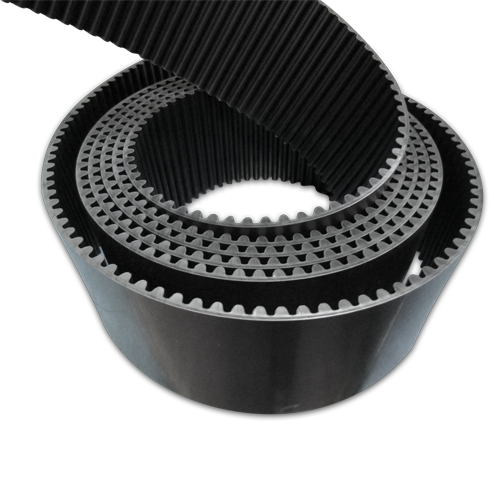 MEGALINEAR GW is the high performance thermoplastic polyurethane belt designed for high load applications. Thanks to its tooth stiffness which ensures a superior load capacity, with special high tension zinc coated steel cords, MEGALINEAR GW guarantees high transmittable power under continuous substantial loads. MEGALINEAR GW can be used in custom applications wherever high loads are present. For example, vertical transport of vehicles, lifting and handling equipment. 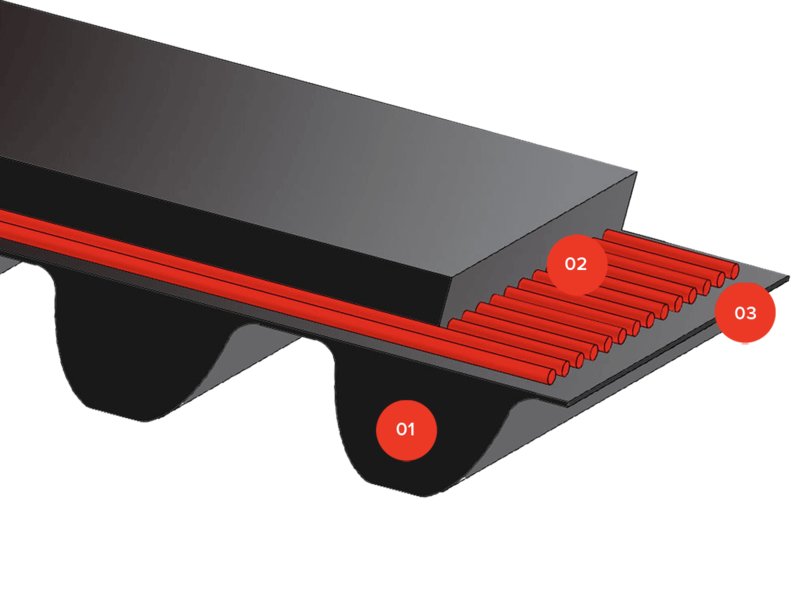 High tooth shear strength, combined with the high resistance of the large diameter steel cord gives a greater breaking strength: +30% in comparison with similar belts. The body of the belt is made with black thermoplastic polyurethane 96 ShA. A special high tension cord in zinc coated steel with S+Z twist, guarantees high transmittable power. Standard tooth cover in NFT. Are you interested in MEGALINEAR GW?